Why settle for static plans? Get active planning. Revolution Slider Error: Slider with alias adaptiveSlider not found. 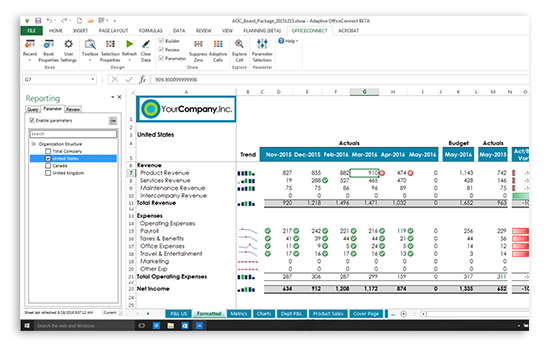 Deliver intuitive budgeting, forecasting, planning, reporting and dashboards with the Adaptive Suite. 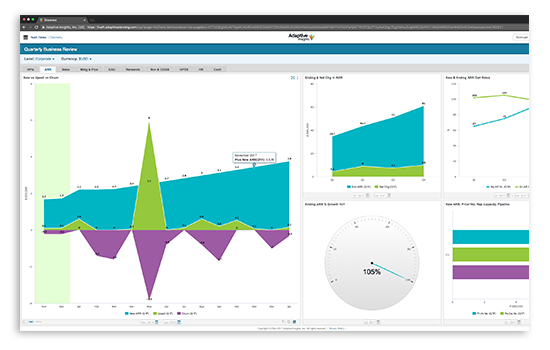 As cloud-based performance management software (or enterprise performance management/EPM software), the Adaptive Suite CPM software solution is accessible from anywhere, and helps business users plan effectively, visualise performance, and monitor results. Using manual spreadsheets and processes or legacy on-premise solutions is an outdated static planning approach that creates risk, and uses time that could be spent more productively. 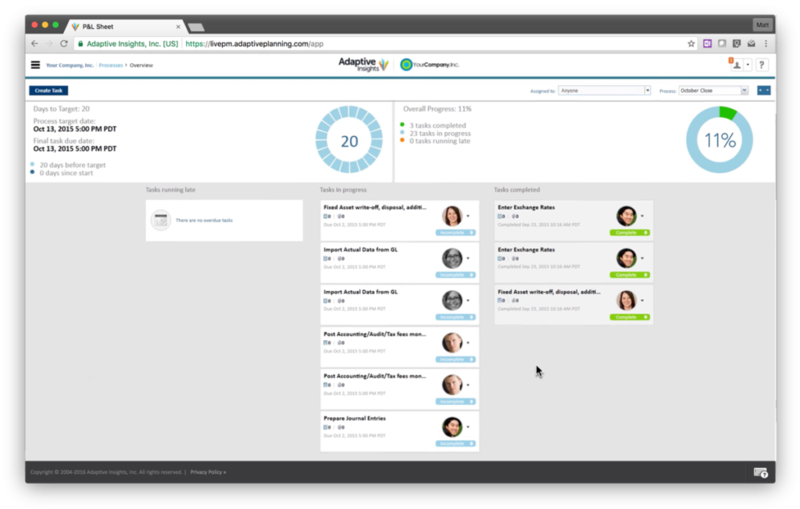 Thousands of organisations worldwide use the Adaptive Suite to achieve a planning process that is collaborative, comprehensive and continuous. Active planning has transformed their balance sheet and cash flow plans, headcount analysis, budgets, expense plans and revenue forecasts. Spend more time understanding your business, and less time compiling numbers. Accurate and up-to-date real-time data, coupled with powerful financial intelligence and business analytics, allows you to instantly visualise variances in a waterfall chart, add multiple dimensions to your charts, compare periods, and take immediate action by re-planning and updating forecasts. Why spend days on financial reports when you can drag and drop the information you need in a browser – quickly creating up-to-date reports that are accessible from anywhere. Use Adaptive OfficeConnect to combine our cloud-based CPM platform with Microsoft Office to deliver accurate and beautifully updated presentations and reports in minutes – allowing you to spend more time understanding your business, and less time building the same reports repeatedly. Moving from financial close to budgeting with one click is possible with the Adaptive Suite and its shared common data platform. 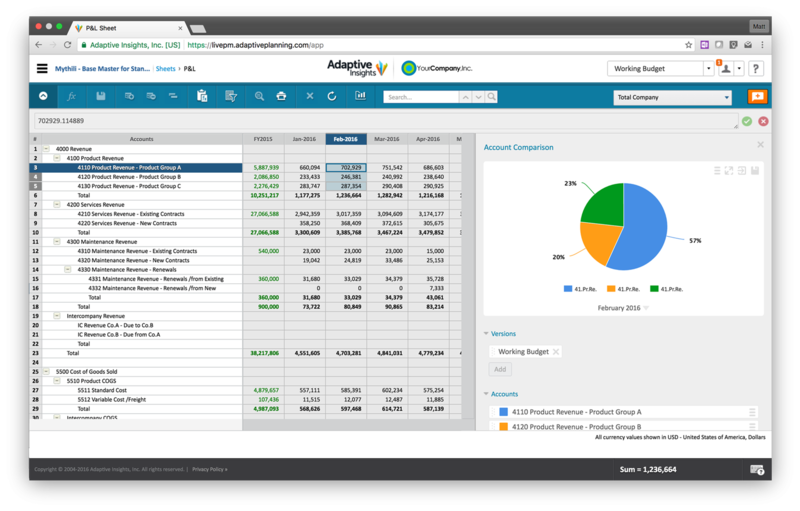 Empower accounting with Adaptive Consolidation’s incredible built-in accounting intelligence by simplifying journal entry management, speeding up intercompany eliminations and financial reports, and automating reclassifications. Being highly scalable and secure while delivering consistent performance to our customers – regardless of the number or location of users, or the complexity of their models – is what sets the Adaptive Suite apart. Purposely-built on a powerful cloud computing platform, the software has been designed to be IT-friendly – reducing support costs and allowing finance to manage the applications. 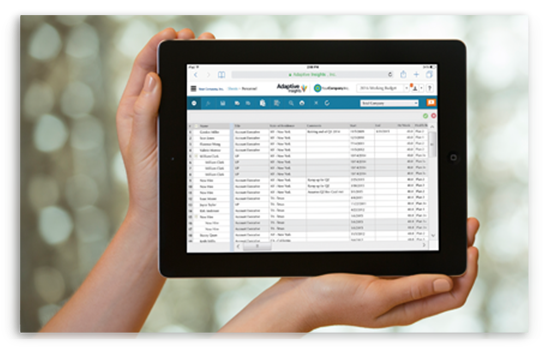 Collaborate from anywhere – via web, mobile or with our Microsoft Excel Interface for Planning; or connect the Adaptive Suite with common ERP, CRM, or HCM platforms (NetSuite, Intacct, Salesforce, MS Dynamics, or any custom data sources).